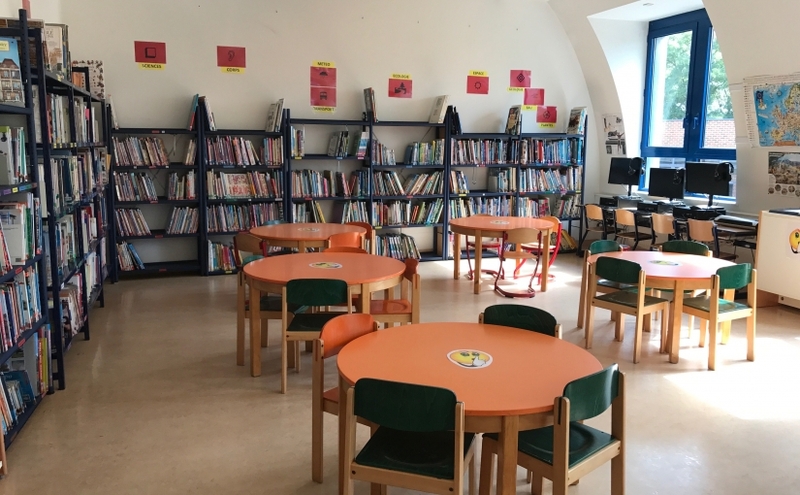 the library for nursery and P1, located on the mezzanine floor of the Fabiola building. who come with the monitors during lunch break − from 12:00 to 12:30 for P2 and P3 classes, and from 12:30 to 13:00 for P3, P4 and P5 (only the Erasmus library). What resources does the library offer? What can you do in the library? Borrow a maximum of two books for a period of two weeks. Any lost books must be replaced. The school is very grateful to the parent volunteers who contribute to the smooth running of the libraries!